Inspired by the works of his Academy Award-winning father, Ed Begley, Jr. became an actor. He first came to audiences' attention for his portrayal of Dr. Victor Ehrlich on the long-running hit television series, "St. Elsewhere," for which he received six Emmy nominations. Since then, Begley has moved easily between feature, television and theatre projects. Ed can be seen in "Ghostbusters" with Kristen Wiig and Melissa McCarthy and a number of Christopher Guest films, such as "Mascots", "A Mighty Wind", "Best In Show", and "For Your Consideration". He has also appeared in the Woody Allen movie "Whatever Works" with Larry David, as well as the Seth Rogen/Judd Apatow film, "Pineapple Express". On television, Begley can currently be seen on "Better Call Saul" with Bob Odenkirk, "Bunt Talk" with Patrick Stewart and "Lady Dynamite" with Maria Bamford. He has starred in two HBO movies: "Muhammad Ali's Greatest Fight" with Christopher Plummer, Danny Glover and Frank Langella, as well as "Recount" with Kevin Spacey, Tom Wilkinson and Laura Dern. He has also had recurring roles on "Six Feet Under", "Arrested Development", and "Portlandia". He starred in David Mamet's "November" at the Mark Taper Forum, and has appeared in several other works by this amazing playwright: "The Cryptogram", in Boston, New York and Los Angeles, as well as "Romance", also at the Mark Taper Forum. Ed has directed several episodes of the hit show "NYPD Blue" as well as a play that he wrote called "Cesar and Ruben" that won a Nos Otros Award and four Valley Theater League Awards. A busy actor, Ed is always on the go, but the environment and bringing awareness to the public is also a huge passion for Ed. Along with his wife Rachelle and daughter Hayden, they created "Living With Ed", "On Begley Street" and now Begleyesque Podcast. He lives in a solar powered home and drives an electric car. "Some would call me an environmentalist. I don't know why. I reuse the water that falls in my backyard in the winter. I reuse the trash and clippings I produce for mulch. I reuse the rain that falls on my roof, and I reuse the sun that shines on my house for energy. I guess you could call me a strategic opportunist as much as an environmentalist." 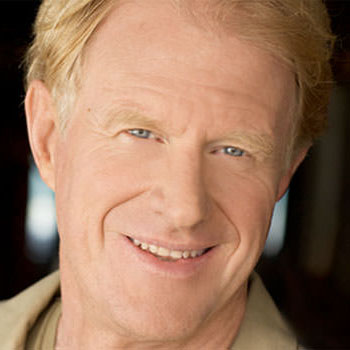 Ed Begley, Jr. Here's a fun clip of Ed, Rachelle and Hayden on the start of their LEED Home "On Begley Street".